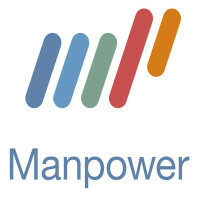 Manpower is a company dedicated to providing employment for jobseekers. It provides workforce solutions to various businesses. It is connected with various associations and groups, thus enabling it to create more job opportunities. It is a Fortune 500 multinational corporation based in the United States. The company was founded in 1948 by Aaron Scheinfeld and Elmer Winter in Milwaukee, Wisconsin. Previously known as Manpower Inc., it now goes by the name ManpowerGroup. Though the company was constantly being acquired, it remained independent throughout the 70s, 80s, and 90s. The company boasts of more than 2,800 offices located in more than 80 countries all over the world. Its number of employees is currently around 28,000, growing at a constant rate of an additional 1,000 employees per year. On the other hand, it constantly places millions of people to work. The three main benefits that Manpower provides employees are job training, health insurance, and paid holidays. However, the price of health insurance can be a bit steep. It also allows employees to enroll in online colleges, shouldering the costs together with a 401(k) plan. You have two ways to get employed. First, you can be an employee of Manpower. Second, you can be placed as an employee in another company. You also can choose to become a full-time or part-time worker. People love Manpower because of the benefits and the quality of care the company provides to its employees. How old do you have to be to work at Manpower? You need to be at least 18 years old to qualify as an employee in Manpower. The age qualification of the external jobs it offers varies because different jobs and companies have different age requirements. Nonetheless, it is best to consult their job listings. Jobs available in Manpower are quite varied. However, most of them are entry-level positions. You can get a job as an internal Manpower member or staff, a subsidiary worker, or as a Manpower client employee. This makes this company a good place to look for a job. Recruiter: A recruiter main’s role is to create a candidate pipeline wherein candidates will always be accessible whenever a job becomes available. You need to be capable of attracting, engaging, and screening potential recruits. To get this job, you must have experience in staffing, sales, or customer service. Computer literacy is also required. Accounting Manager: As an accounting manager, your role is to maintain files, schedules, and spreadsheets. You are also required to review general ledgers monthly. To get this job, you must have a bachelor’s degree in accounting and at least have five years’ worth of experience in a related field. Payroll Specialist: A payroll specialist’s duties include managing taxes, deductions, and payrolls of a company’s employees. The job also entails overseeing pay-related company benefits, premiums, 401(k), terminations, and employment. You will work closely with the human resources and benefits department. Customer Service Representative: As a CSR, you will be the front-facing employee that will primarily deal with customer concerns, requests, and questions. Aside from that, you might be required to make outbound calls. The line of business that you will be in depends on the department you will be placed. Machine Operator: Mainly, a machine operator’s job is to use factory machinery for manufacturing materials and products such as plastic and metal items. Usually, the requirements for this type of job are not that strict and high. One can get into this line of work as long as you have a high school or general education diploma. Auto Mechanic: An auto mechanic’s main job is to clean, maintain, diagnose, and repair cars or motorcycles. The primary requirement is having automotive knowledge of and being familiar with vehicle parts and accessories. Education is often not scrutizined stringently long as the applicant is good with basic arithmetic. Welder: A welder’s job is to join two metals. One can be placed in numerous industries, and the job type depends on the client. Also, clients often require applicants to know a specific welding method (i.e. MIG, SMAW, TIG, and FCAW), which is dependent on the machine that they use. Data Entry Clerk: This job requires the employee to enter information into a database using a computer. The client or employer may require data collection, harvesting, and organization. In most cases, data entry clerks are often tasked with mail sorting and scanning. Material Handler: Material handling is a physically demanding job. A handler needs to pick, organize, sort, stack, and stock products or supplies. Work environment-wise, it is typical for a material handler to work inside warehouses. In some cases, they are brought along during product or supply transport. Commercial Driver: A commercial driver’s job is to maintain and drive delivery trucks. Oftentimes, a driver works closely with material handlers and the driver may do some of the material handler’s jobs. In some small businesses, they are also tasked with payment collection and communicate with other staff in relation to product handling. To apply, all you need to do is visit the company’s website. You will be directed to a page where you can search for a job. Once you find a job you want, register in the website using your Facebook, LinkedIn, or email account. Follow the instructions provided. Even if Manpower offices allow walk-in applicants, it is recommended that you apply online. The jobs available in the recruitment offices vary, and if your resume does not match any jobs available, your application will be left pending. If you do it online, however, you can choose the job you want and directly apply for it. When filling in the application form, be sure to provide all relevant information. For example, if you are applying as a customer service representative, provide all details of previous job experiences that required you to interact with customers directly. You do not need a resume when applying online. However, if you are going to apply in an office, be sure to do some background check on the jobs available in that office by going to the site. If the office is near the job location, then it will be open in the office. The interview in the company is as basic as it comes. Usually, if your application online gets shortlisted, it will only take a day before you’re set up for an interview. Questions will revolve around your capability to accept all the big and small details about the job you are applying for. When it comes to culture, Manpower employees are friendly and helpful and upper management is considerate when it comes to scheduling. In a nutshell, the company provides a fun and rewarding place to work in. The biggest news on the company is its recognition as the best company to for women to work in, as awarded by the Women’s Choice Awards. The prize went to Manpower because of the company’s strong position in gender parity in the workplace. The company is known as the biggest portal to get a job in in the United States. With its numerous clients and partner, there is always a job waiting for you in this company. The company has founded the ManpowerGroup Foundation in 1953. The foundation focuses on youth and education. It also supports United Performing Arts Fund and United Way. 1 How old do you have to be to work at Manpower?